One of the points of discussion was about Sherlock’s supposed oblivion or lack of need for human affection, relationships, love and marriage. He is basically an asexual being that focuses on reason not passion. He chooses not to fall in love. But, what if it isn’t a choice? What if it just doesn’t happen? What if a human being never falls in love? Can you live a full life and never fall in love? An analysis of literature, film, art, music, history and even human psychology would say NO. An article I saw recently said that 92% of pop music was about love. I am certain any other genre would be similar in results. It is hard to think of anything in modern or ancient culture that doesn’t at least tangentially involve love, sensuality, marriage or companionship with perhaps death and God being close behind. 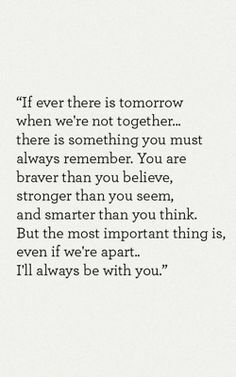 This quote always makes me cry. But what do I mean by love? agape- selfless love. Kind of like the what the bible calls charity. It’s a hope for the goodness in the world. An unselfishness and service to those around you without wanting anything in return. it’s the kind of love we talk about at Christmas and that makes Scrouge a better person when he develops it. eros- sensual love. Passion, is the root for the word erotica and eroticism. As far as I can tell this love usually requires human contact more than words, or feelings. storge- familial love. Like the kind of attachment a mother feels for a child, brother to brother etc. philia- friendship love. for Aristotle the greatest kind of love. Friendship, loyalty, human understanding and commitment. Like minds and devotion. Root word for philanthropy. I guess my lack of eros makes philia mean so much to me. I know many who seem fine without friends but to me loyalty, commitment and friendship are everything. So just as a mental exercise bear with me- what if you miss out on 1 of the 4? What if you never seem to make any real friends? What if you have broken relationships with family and can never make that work? What if you never have any passion with another person? What does that mean for your life? I’m 33 years old. 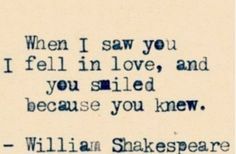 I’ve never been in love. I’ve never been kissed. I’ve never had a break up or a heartache. I’ve never had anything more than a crush from time to time and I honestly do not know why. I really don’t. Again, I’m not saying this for pity or reassurances. I really want to ask the question- can you live a full life and not fall in love? I think most people would try to answer yes to make me feel better but if they really thought about their own lives and if they had never had that experience it would feel pretty empty. So what do we who have never fallen in love do? That’s the frustrating part. Nothing. As far as I have been able to figure out you just wait. Yes, you can workout and go to activities, date whenever you can, but none of that is any guarantee of falling in love. Believe me I know. You certainly can and must always be hopeful and happy with what you can control but it will probably always be this big part of being human that you don’t completely understand. I think you will always have a little ache in the back of your heart that everyone else got to experience something so primal and basic and you were left out. I read an article today saying that the average human being falls in love 4 times in their life. Unfortunately in any study there are always outliers and if you are one of them, I get it. I know what you are feeling. I guess the only thing I can say to my fellow love-lorn is that everyone has an ache of some kind. Nobody has all 4 of the loves perfectly in their life. Everyone has regrets and wishes for something they never quite experienced and never enjoyed. That’s what the atonement is for. After all, as far as we know, Jesus never fell in love either, so we are in pretty good company on that one. He loves us and that has always carried me through. Hang in there! I know I’m not the only person out there who has wondered about this. Please share your stories. Anyway, I just wanted to put that question out to the world. What if it never happens? This is still one of my favorite posts I’ve written. The myths totally ring true to me, so take notes my friends! So this might seem a little random but over the last few months I’ve wanted to write a post on the greatest myths many married people have about being single. A friend on the singles forum told me this yesterday and I just couldn’t believe it. First of all, who in their right mind thinks that being single is easy and secondly how dare you judge me as being ‘closed minded’ and not prayerful enough just because I am not lucky enough to find a mate. It wasn’t even me and I am angry. And unfortunately this experience is not in a vacuum. You ask any single person and they have experienced such attitudes. The problem is for many people it has been so long since they have been in the dating rat race that they remember the process with rose-colored glasses. Also, the whole idea of dating has just changed since they were in the dating scene. Here’s the deal to those that don’t remember- nobody I know casually dates. If you get asked on a date whether you are 14 or 44 you assume that person likes you and is seriously interested. The only exception is if a person needs a date for an office party or wedding. It is very rare for someone, man or woman, to date different girls on a weekly or even monthly basis. Now you could argue that this change is unhealthy or needs to be fixed but at a certain point you would be denying the new reality and living in a fantasy world. Anyway, gives you an idea. I also think this problem exists outside of the church. Its just not a requirement to marry for exaltation outside of the church. In the end, I agree and know from the bottom of my heart that the highest degree of exaltation does require getting married and finding that person to be with forever BUT what about that sentence screams ‘easy’? Living truth has never been easy. Even if you do find him or her its still not easy. We all have our struggles and claiming that someone needs to be more open minded and isn’t praying enough when you don’t know FOR SURE is just wrong. It’s outrageous. Just love people guys. Please. Laugh with people. Tell a joke. Share doctrine that can apply to everyone’s life with gentle encouragement where appropriate. My experience is most people have something to contribute, even if minimal on almost any topic. Why not listen? Heavenly Father loves His children, married or not. Let’s try to be a little bit less free with our advice and a little bit more loving. PS. There is a popular blog going around my married friends circles that says that those without children should ‘shut up’ and that their opinions about parenting are ‘worthless’. If I have to keep my mouth shut about your life than the same goes for those that haven’t experienced being single in their 30’s +. How would you like it if you went to church and heard about how your job being a parent was easy and that you just needed to pray more for your children to behave? Urgh…. I also have to add that my parents are a single girl’s dream. No pressure at all. No guilt. Thank you! PPS. 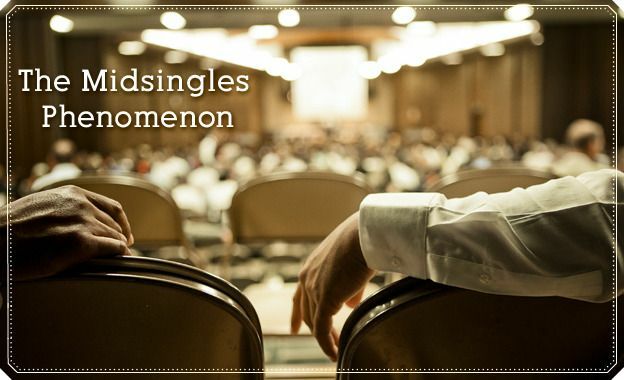 If you think it is really that easy try finding someone for the single in your life to go on a date with. I bet you will find it is tough. PPPS. Forgive me for ranting and raving. The Church is still so true even if I get frustrated with the people every now and then. I think people need to hear that someone in the world is experiencing the same thing as them. 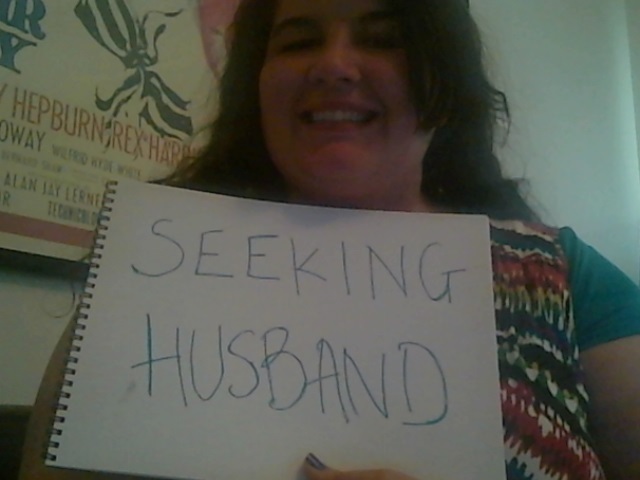 Its hard to be single in a family church. I hope at the least I let someone know they are heard and not alone. So I have an idea for my next nanowrimo that I think will be really fun. I won’t give it all away but it has to do with a single and married woman, so I need some feedback (especially for the married woman). Having never been married I’m not sure what its really like. I only see it from an observer. You can email me the questions below or use the following links. There is one survey for single friends and one for married. I would really appreciate your feedback. Thanks tons! 1. What is a benefit to being single? 2. 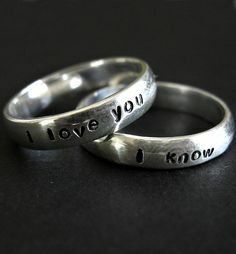 Have you been married? Divorced? Widowed? Separated? 3. Do you want to be married and have children? Does it make you depressed to be single? 4. What’s the hardest part of your job? Greatest benefit? 5. How is being single in 30’s-40’s different than in your 20s? 6. How is your relationship with your family as a single person? 7. How is it managing relationships with married friends and friends with kids? Difficult? 8. How do you feel about dating? Online dating? Being set up? 9. If you could invent the perfect relationship what would it look like? 10. How do you manage your finances? 1. What is the hardest and best part about being married? 2. What do you miss most about being single? 3. If you could trade lives with anyone who would it be and why? 5. Who is responsible for managing your finances? What kind of stress does that give? 6. On a day to day level what is the best and hardest part of being a parent? 7. What surprised you the most about married life and parenting? 8. What do you do to relax? 9. What is a goal you personally would like to accomplish? 10. How has your social life changed since you got married? How important are friendships vs family? Today I was visiting with my home teachers and they asked me an interesting question. They said ‘we’ve met many single individuals over the years but not many who seem to be as happy and content as you are. What is your secret?’. After thanking them for the compliment I had a hard time putting into words why I am happy. Its kind of a hard question to answer? There are lots of things that make me happy. How do you sum it up? About 7 years ago I was seriously unhappy. I think only God knows how low I really got. Its again hard to explain because I wasn’t doing anything wrong per say I just felt this cloud over my life. I hated my job. I didn’t get to spend enough time with my friends and things I loved like school and church callings were getting crowded out by long work days and other responsibilities. In the end, it doesn’t even have to do with that particular job. It was this ghost of unhappiness that haunted me every day. I related many times on this blog the events of that period- how I pushed the feelings of depression inside until they burst out in full blown panic. It still amazes me that with all the challenges I had on my mission and being bullied at school the thing that really broke me was a perpetual stupor of unhappiness. It makes no sense to the outward observer. In fact, one could claim I was suffering from first world problems and should be grateful I had a job, and I was. Still, that feeling of grayness in my life is something I will never forget. Once I had shown the world my unhappiness I had little left to gain by pretending and started to take the leaps of faith necessary to remove the cloud-cover from my life. I lowered my hours and eventually quit my job. I graduated from school with my MBA. I moved to Draper. Found out that working from home was right for me, started taking voice lessons, was introduced to open water swimming, and started a book club, the list could go on and on. Everything good in my life is because I learned what it felt like to be unhappy and chose to never allow myself to hit that kind of funk again. Of course, I have unhappy days, even months and been through severe disappointments and anxiety in the last few years but nothing like it was in 2007. 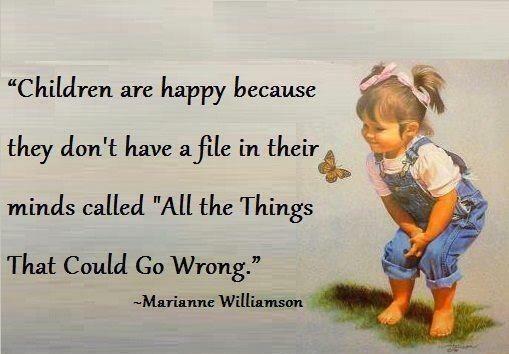 So that’s why I am happy now. 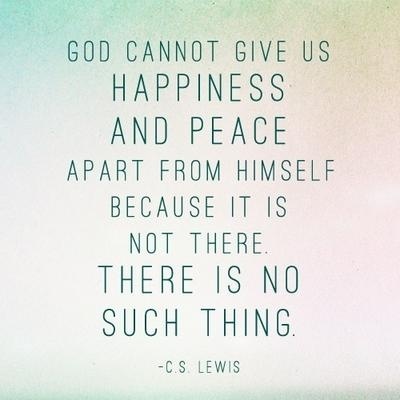 I am happy because I know what it feels like to be unhappy and the great thing is that God was with me through it all. He never stopped telling me that He loved me and He helped me learn the lessons I needed to learn. He kept reminding me that I needed to make a change. He never gave up on me. He never will. Probably most importantly I learned from that period that God’s plan of happiness is not simply a checklist of big things to do, ordinances to make but literally a plan for our happiness down to where I worked and what I do with my life. If he is so involved in these microdetails how can I not faith in the big things such as finding my Mr Sunshine out there. Regardless, I will never let myself feel that way again for an extended period and that is a life-changing lesson. I am happy because I learned that I mattered to God and His happiness requires my happiness not just my obedience. 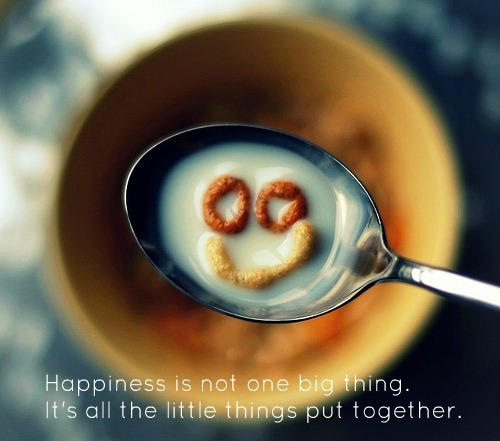 To happiness! (Hopefully someday I can find someone to share that happiness with. All in God’s timetable). So the last two days have been pretty awesome. Yesterday I spent pretty much the entire day at my sweet cousin Danielle’s wedding. We have gotten to know each other pretty well in the last 2 years and she really is a wonderful person. When I moved she helped me the whole day including unpacking my entire kitchen. One day she drove all the way from Provo just to bring me soup hearing I was sick. She just has a heart of gold and I’m really glad we are friends. I’m so grateful to call all of my cousins friends. The ceremony was also very moving. The officiant talked about the importance of staying connected as a couple and how the temple helps us to form eternal bonds with our loved ones. I definitely believe that is true, even with friendships. The bond we build isn’t just for now but for eternity. So grateful for that knowledge. Danielle and Cory married for time and all eternity. I hope I can have that happiness someday. So happy for them. the wedding was so well done. 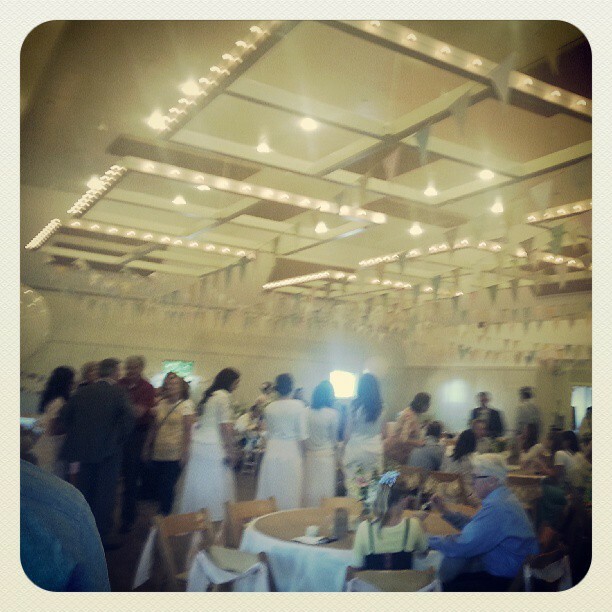 Every detail from the flags on the ceiling, to the delicious food, to the photo booth was great and very vintage. 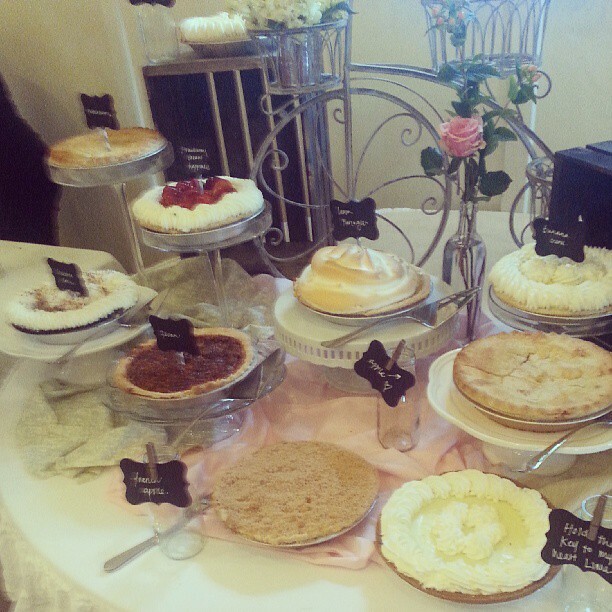 highlight for me was the pie table. Put that away for my wedding! 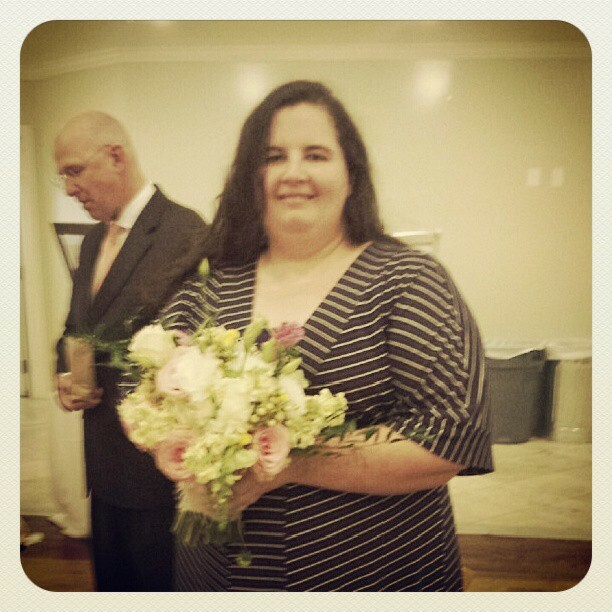 I caught the gorgeous bouquet. So that was yesterday and then today I went with my dear friend Melissa to the temple for a session. It had been a while since I went because for various reasons I got emotional last time and it was a taxing experience. Its funny because when I worked at the temple I used to see people crying and think ‘what’s the big deal?’ and then I was one of those people. Life has a way of teaching you certain lessons that are hard, but we must never lose hope. Anyway, I was waiting to feel emotionally strong enough to go again but I knew with Melissa’s support I’d be fine (she really is the best). So we went and to our surprise there was a new temple video. It was so neat. It made me feel the spirit even more and you know what no crying! Beginning this week, a new temple film is being shown in several LDS temples. 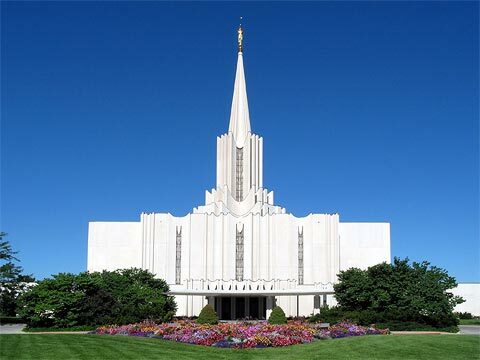 Mormon temple worship occurs in 141 dedicated temples around the world. It differs from regular weekly worship services that are held in thousands of local church buildings called meetinghouses. 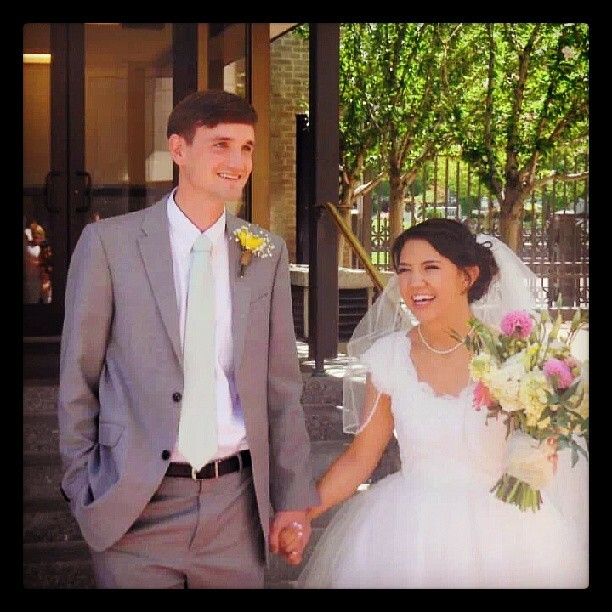 Temple worship is reserved for active church members whom local ecclesiastical leaders have recommended for their faithfulness to LDS doctrines and teachings, whereas weekly services are open to people of all ages and faiths. Out of reverence for what Latter-day Saints consider the sacred nature of temple worship, Mormons are admonished to be circumspect about discussing the details of temple instruction. I was moved and felt again that I am a part of the true church of Christ with His powerful covenants to lead and guide me. I’m beyond grateful for that. I know that if I make correct choices, repent of my sins, and keep my covenants I can make it back to Heavenly Father again and be able to serve Him forever. This weekend reaffirmed that 100%. I love my faith and I’m so grateful for the temple.